This is a magic sauce, it goes in anything and everything, it keeps in the fridge for around 5 days, or freezes really well. 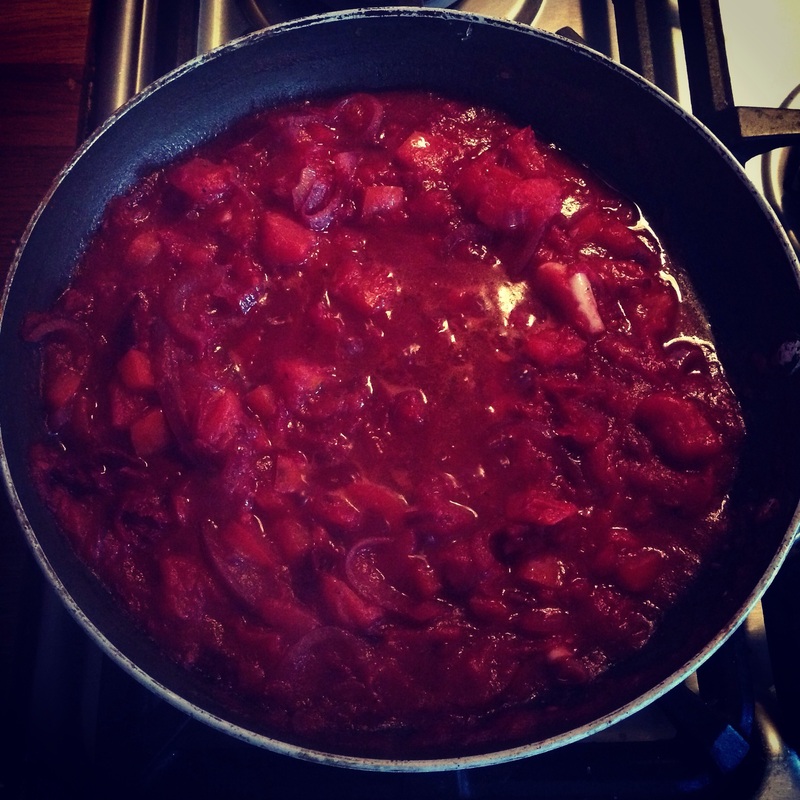 It’s also possible to hide masses of veg in it that the kids wouldn’t normally eat… Neither of mine are keen on red peppers or beetroot, but hiding it in this sauce… what they don’t know and all that! 1. Heat 2tbsp Olive oil in a pan on the hob. 2. Finely chop the onions, crush the garlic and soften in the pan for around 10 minutes. 3. Chop the red pepper & grate the beetroot and add to the pan with the mixed herbs, paprika, salt & pepper. 4. Add the tinned tomatoes and a tsp of maple syrup to take the edge of the tomatoes. 5. The sauce is ready when the veg is soft, and it may begin to reduce slightly, add water if it reduces too much. 1. Blend the sauce and use as a passata for pizza. 2. Serve on pasta with a little grated cheese. (blend slightly if kids are picky with ‘bits’). 3. Add a chopped chilli and reduce the sauce to make a salsa dip. 4. Reduce and blend to serve as a ketchup.